To quote Austin Powers, “you were right to be suspicious” if you didn’t think Steve McNiven would be drawing all 5 issues of the Return of Wolverine mini-series this fall. Marvel has announced that McNiven will be drawing the bookends to the series – #1 & #5. Issues #2-4 will be drawn by Declan Shalvey. Of course, they’re also hyping that Wolverine will have some new costumes, but we’ve been down that road before. This September, the Wolverine trilogy will be complete when RETURN OF WOLVERINE #1 hits comic shops! The five-issue limited series, spearheaded by writer Charles Soule, brings new twists to Logan’s powers—while raising new questions about his resurrection! Today, Marvel is excited to announce that superstar artist Declan Shalvey will be joining Soule for issues #2-4 of the limited run! Best known for his work on VENOM, DEADPOOL, and the upcoming series DEAD MAN LOGAN, Shalvey is bringing his stellar talent to the claws of Marvel’s fan-favorite mutant starting this October. “I am thrilled to have a fellow artist of the caliber of Declan on board for the return of Wolverine!” says McNiven. “He brings a level of excitement and enthusiasm to the whole team and I’m hoping readers are excited as I am to see what he has in store for us on the drawing board!” After Declan wraps up his work on issue #4, the magnificent McNiven will return for the series’ final chapter with issue #5. In addition to bringing his pencils to Charles’ epic story, Declan will also be drawing special variants on issues #2-4 of the series! See the exclusive reveal of the his variant for issue #2 below! RETURN OF WOLVERINE #1, by Charles Soule and Steve McNiven, hits store shelves September 19! 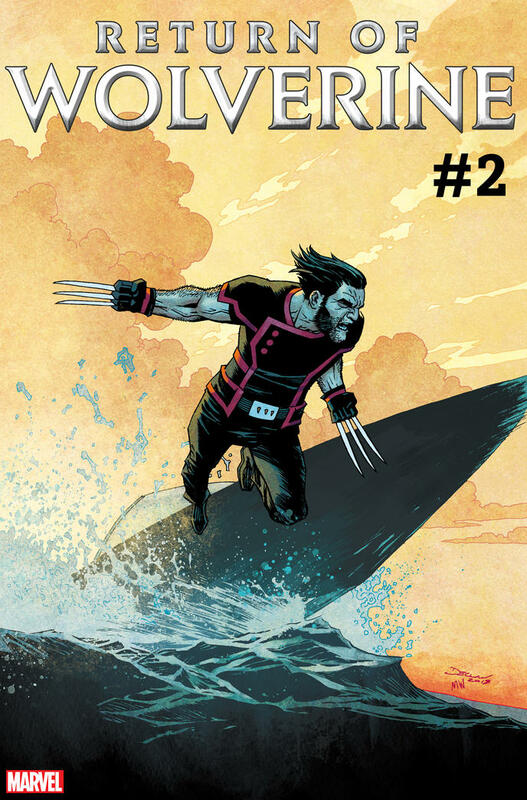 Declan joins the title with RETURN OF WOLVERINE #2, on sale October 24th!